Ashley Giles' first big decision as director of England Cricket will be to determine whether to appoint separate coaches for Test and white-ball cricket, says ECB chief executive Tom Harrison. Giles began his new role earlier this month knowing that current head coach Trevor Bayliss will step down from his position in September. Giles told Sky Sports Cricket that he has not yet made a firm call on whether to appoint one coach or two. 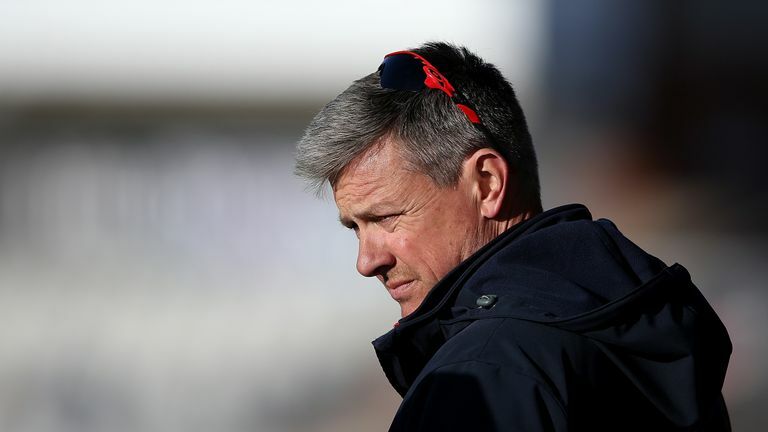 Bayliss has suggested that the coaching role could be split, returning to a structure last employed by England between 2012 and 2014, when Andy Flower led the Test side and Giles oversaw the ODI and T20 outfits. Harrison, asked if the England coaching job is too big for one person, said: "I personally think this is going to be Ashley's first main decision that he's going to have to make. 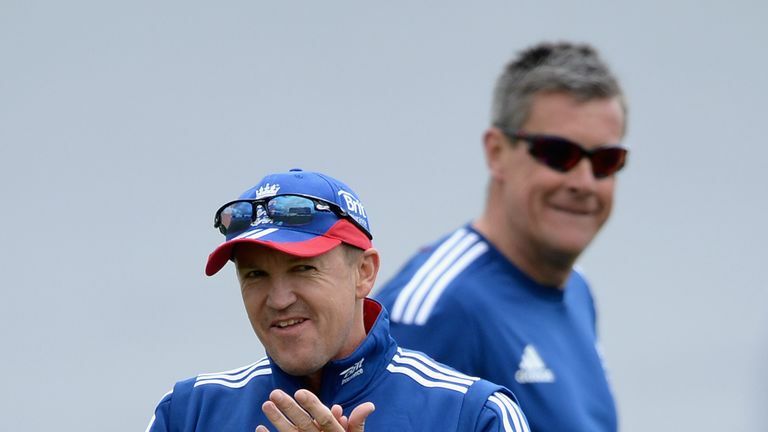 ECB managing director Ashley Giles insists he has a positive relationship with the organisation's technical director of elite coaching Andy Flower. "I think it is going to be about looking at the schedule, which is going to be slightly different because of the different dynamics of having a World Test Championship. "You are going to have shorter, sharper series in the Test match game, and then have a World Cricket League across 13 teams in the one-day side, then a lot more international T20 to play as well. "There is going to be a slightly different balance going forward, and it will be for Ashley to work out whether that can be done by one man or whether it needs to be split; that's going to be a decision that we'll try to work out. "What we know is that we need the best coaches coaching the teams at that level, and, if you take that a level lower, we need our best coaches coaching our younger cricketers across the county game as well - so there is also a focus on the pathway that is going to take some of Ashley's time and some of his responsibility as well." Harrison confirmed that the ECB has no plans to continue experimenting with pink-ball cricket at domestic level next year - nor indeed to stage day-night Test cricket in the foreseeable future - but insisted there is a clear need for innovation, in the form of the new competition The Hundred, which is to be introduced in 2020. "This is about the requirement for us to remain relevant as a game," said Harrison. "We have got fantastic county competitions in this country, we've got a thriving international game, but what the ECB and I have to do is ensure we're keeping an eye on the future and making sure we are doing as much as we can to make the game as open, available, and accessible as it can be to wider audiences. "There is plenty of evidence out there to suggest that while we have been doing very well with our county competitions, there is much more we can do to get those wider audiences in the game, which are going to be important in the future for this game to thrive throughout this country. "That's where the concept of the new tournament was born, and it's where - as a bold and brave plan for the game - the playing conditions for The Hundred started. "The evidence suggests we need to be doing things differently from T20 if we are going to expect a different result from the public response. It's a really exciting time; I think fans are going to love it. It's high-pressure, high-calibre cricket." Before then, English cricket fans can look forward to a summer featuring not only the Cricket World Cup and Ashes on home soil, but also the return of England Women, as they take on Australia in the multi-format Ashes series. Heather Knight's team - reigning 50-over World Champions - reached the final of the ICC World Twenty20 in November, and Harrison says the ECB continues to work on a strategy to help women's cricket not only enjoy further success, but become self-sufficient. "The women's game is such an opportunity for English cricket," he said. "We really want to be the sport that is seen in the long-term ambition as gender-neutral - as much of a sport for women and girls as it is for boys and men. 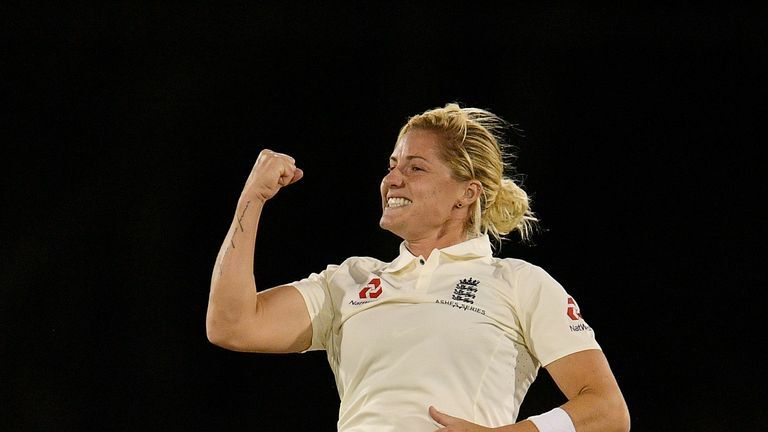 England fast bowler Katherine Brunt tells Sky Sports' Sportswomen she rates the Ashes higher than the cricket World Cup. "At the moment, we have a good amount of investment and performance in the elite part of the game; what we really need to do is give that clarity of pathway from the first time a girl picks up a bat at All Stars Cricket at five years old, and give her a sense of clear direction all the way through to the England dressing room. "We are in strong growth in Women's cricket; a lot of schools are picking it up. Women's and girls' cricket is up 18 per cent on last year, and in All Stars we've doubled the number of five to eight-year-olds playing cricket for the first time. "There are great signs there, but there's no question we've got an awful lot to do." Watch the ICC Cricket World Cup, the Ashes and the Women's Ashes live on Sky Sports Cricket in 2019! Plus, watch live coverage of England's tour of the West Indies live throughout January, February and March on Sky Sports Cricket.